Oh but first, Happy Valentine’s Day! On Friday, I had the sudden urge to make you all a Valentine’s Day drink. One that I could post today that would be quick and simple, and one that you could all make tonight. You see, I’ve been dying to make a flora cocktail. They are so cute, light, simple, quick and totally refreshing. Perfection! 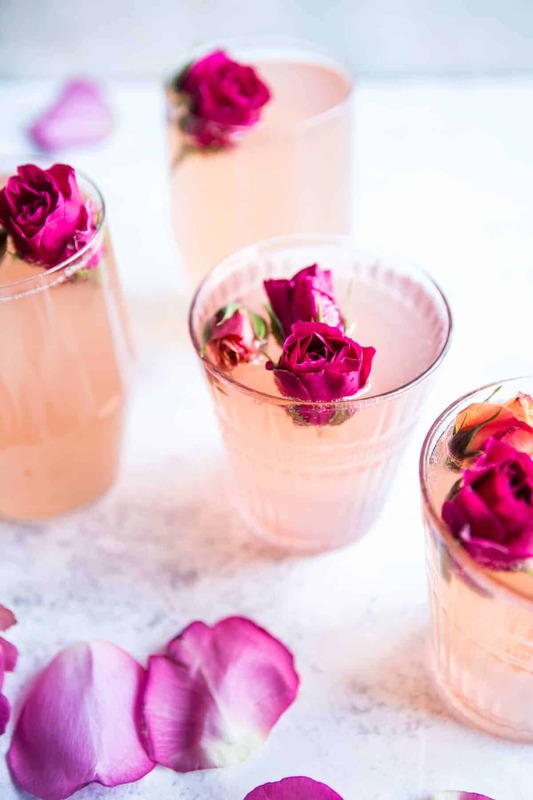 If you’ve never used rose water before, don’t be afraid of it. 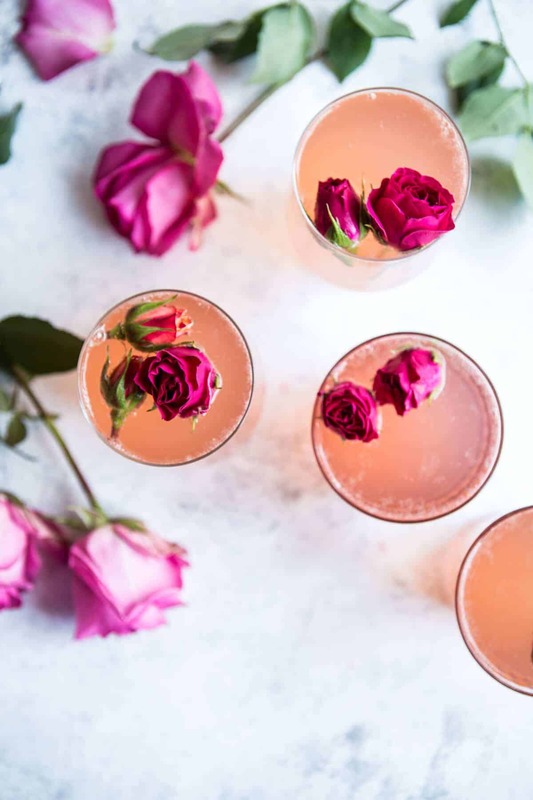 Rosewater only adds a subtle floral flavor, nothing overpowering. It’s also a really great addition to sweet baked goods, puddings and drinks! If you’re having trouble finding it, I like to buy this rose water on Amazon. 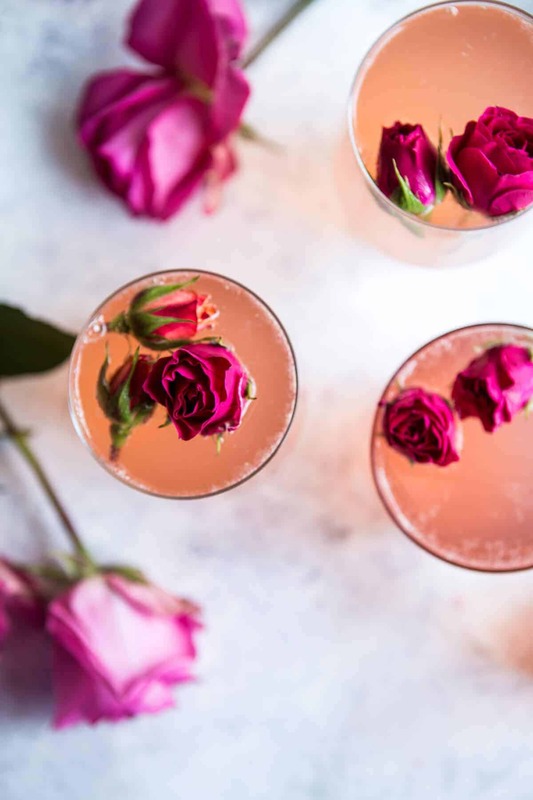 If you’re really not into the whole rose water idea, or don’t have any on hand, you can simply omit it from the drink. You’ll then end up with a yummy lemon spritzer. 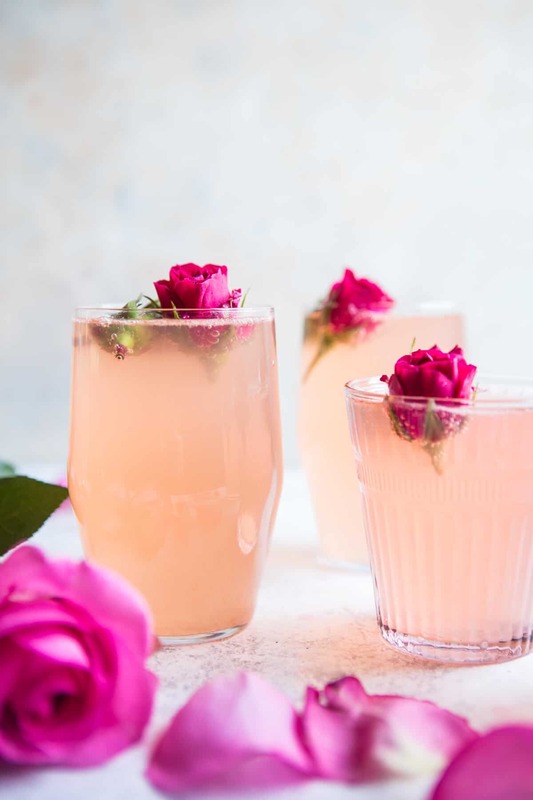 Which is still healthy and refreshing, but the light pink shade that the rose water gives off makes it perfect for Valentine’s Day…or really any day you just need a cute, refreshing drink with bubbles! You can also omit the vodka and make this as a mocktail too! They are so cute, light, simple, quick and totally refreshing. Perfection! 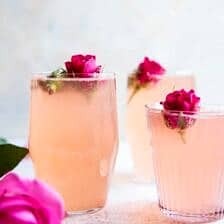 Combine all the rose water, fresh lemon juice, vodka, honey and blood orange or pomegranate juice (if using) in a cocktail shaker and fill with ice. Shake until combined and then strain into a glass. Pour in the sparkling water. 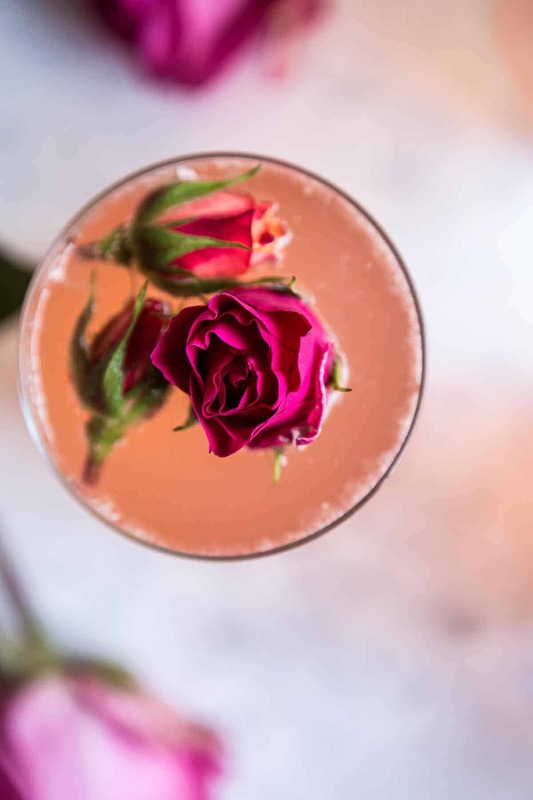 Garnish with fresh roses. DRINK! 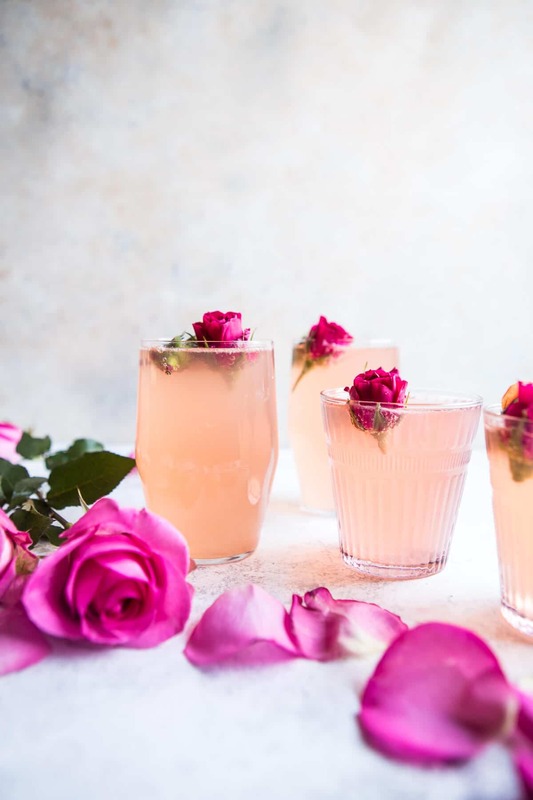 *Rosewater adds a subtle flavor that is floral, but not in an overpowering way. I like to buy this rose water on [Amazon | http://www.amazon.com/gp/product/B005CMA5J2/ref=as_li_qf_sp_asin_il_tl?ie=UTF8&camp=1789&creative=9325&creativeASIN=B005CMA5J2&linkCode=as2&tag=halbakhar-20&linkId=KJIPEAI73RXN52YM]. 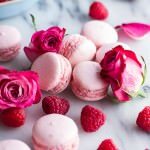 Coconut Raspberry Macarons With Raspberry Rose Buttercream. Wow this looks so amazing!! 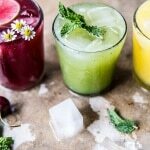 These drinks are gorgeous, Tieghan! Perfect for today! 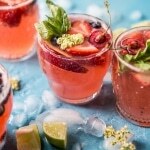 This spritzer sounds super refreshing! Love the flavour! I would definitely drink this!!!! The pictures also remind me of Mother’s Day, a bridal shower, or a girl’s night out. I love anything rose-flavored! This sounds delicious. This looks so cute and delicious! I’ve been dying to try rose water in something but couldn’t find it so I’m so glad you posted where to get it and what kind- thank you! All summer long I drank lavender lemonade which is just like normal lemonade but with a lavender simple syrup for the sugary part by boiling then straining out the lavender- I bet this is equally as delicious and I can’t wait! Thanks Amy! I hope you have a great weekend! How gorgeous are these spritzers! That color is stunning! Do you think I use seltzer instead of sparkling water?? someone that truly knows what they’re talking about on the net. Nice response in return of this query with solid arguments and describing everything on the topic of that. Beautiful! Sounds so refreshing too! 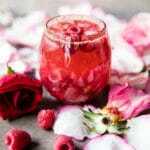 What a delicious drink made at home and loved it! Hey! I’m hosting a bridal shower and I think this is a perfect punch bowl drink! Do you have any bulk measurement recommendations? I made this with gin and it was absolutely delicious. You really do need the pomegranate for the color. I didn’t have any, so it came out between lemon juice and honey colored. But, tasty nonetheless. Thank you. I hope you do! Thank you so much Latisha! Thanks for including mocktail instructions! I hope you love this Lisa!